I'm curious, what others using that mashing method are getting for efficiency? I seem to be getting 60% pretty consistently (brew house efficiency). When I was doing batch/fly sparging, I was up in the high 70s but after switching to no-sparge (easier for low oxy techniques) I have been at about 60. I can get around 70% no sparge efficiency for most average strength beers. Yeah. I'm having the same issues since trying some no-sparge batches. I'm a little perplexed by it. Starting to wonder if I need a finer crush (been trying the grain conditioning thing too) and some rice hulls so I don't get stuck. I like beer. 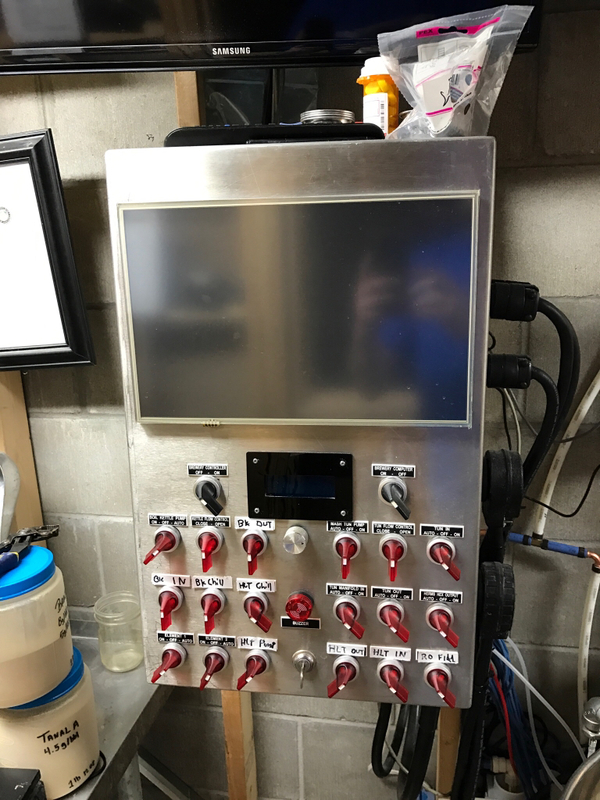 I like to make beer. I don't like to argue about beer or making beer. On the subject of getting stuck and rice hulls, today I did a 3lb rye, 3lb wheat, and 4lb Maris Otter grist with about 2oz of rice hulls (not too much, just what I had laying around) and had no problems at all with the run off. I had thought that it might be more of a problem with such a large huskless mass in there, but after the crush it looked pretty rich with husks and was fine. I did condition the grain for about 10 minutes before I used it. I'm not sure how much it matters for things without a husk beyond keeping the dust down a bit. I've been in the low 70's with no sparge, down from the low 80's with a batch sparge. I hover right around 60% with average gravity beers. Around 60% most of the time, but haven't done one since buying my own mill so may give it another go and crush finer. Depending on your conversion efficiency (crush, pH, dough in), and how much wort you leave behind in the kettle, it should be ~67% mash/brewhouse efficiency for a typical 12lb grain bill. I don't have a single infusion data point since I have no done one in many years. I step mash, keep my WTG ratios under 3qt/lb, have no deadspace in the mash tun and .08 grain absorption. 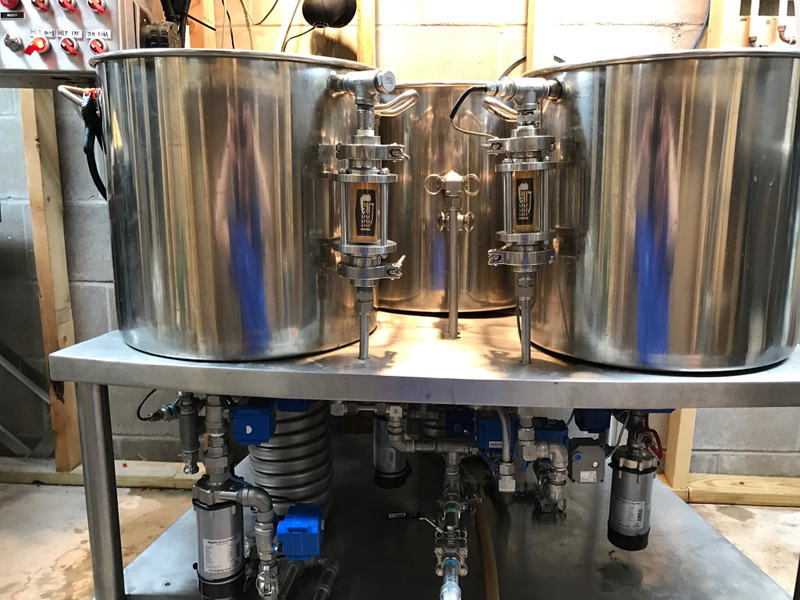 100% conversion/90% mash/85% brewhouse. Back when I tried running my system like a BrewEasy (or any other BIAB system), I was getting around 80%. The big things, I think, is the recirculation of the whole thing. With the stuff just sitting there and no agitation, the efficiency drops notably. I have considered "investing" in the doo-dads I need to run my system recirculating. But, that is just more stuff to clean and to leak and to <blah blah blah>. Eventually I'll cave and do it. For me, a consistent efficiency is more important than a higher efficiency. I can certainly see the value of high efficiency to a commercial brewer, no question. I can also see the value of indulging an attraction to shiny brew-dads, and adding more "advanced" equipment/techniques (forgive me, Denny). So my consistent 70% might cost a couple of bucks in additional base malt to get to the same OG as compared to, say, 80%, but I'm happy with my equipment and process. That having been said, a consistent high efficiency is pretty cool, too. I agree with you on the consistency thing. I'm just still surprised by how my efficiency has dropped from 80% for fly sparging to mid-60's for no sparge. If this is what it's going to be, then fine, I'll adjust my recipes. I'm just wondering why such a drop. Is it a solubility thing? Don't know. Have you eaten a spoonful of the use grain from the tun after? It is still notably sweet in my case, so the efficiency hit seems to just be that the 1.25gal of water left in the wet grain were at your pre-boil gravity rather than at 1.010 or something.